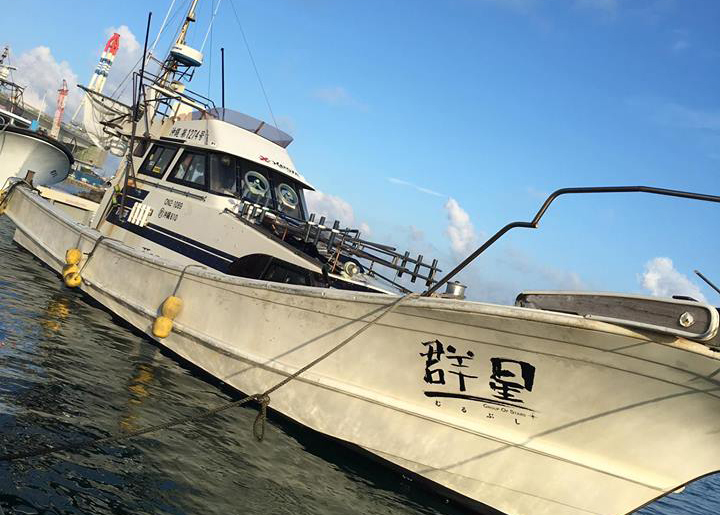 I had 8 bait fishing anglers from Hong Kong for 3-day island stay trip. They came back from the trip last year. It was a very windy situation. But once we get to Aguni island, we will find fishing grounds somewhere not exposed to wind. 2kg Tomato Rockcod! This is such a delicious fish. It is equally valued in Hong Kong. There’s nothing like a cold beer with your catch of the day. We got ready to target bigger fish with Oyogase (swimming live bait fishing). I brought out my new Oyogase rod on Marfix N4 with PE6. Then I hooked something enormous. The first run was something like a bulldozer. Slow but clearly non-stoppable. I thought first that it could be a big cod, but no… It ran about 50m. I hit at 90m deep and lost 50m, and it was still swimming. But it didn’t feel like a dogtooth or amberjack. By this time, everyone pulled up and the captain was following the fish. I gained about 30m, but then the second run came on. This time, it was like a truck… Fast and powerful. I lost about 100m more. This got to be a shark or a GT. Probably shark. I let the other anglers feel the fish. I was exhausted too. I knew I could never catch this one. After 30 minutes into the fight, my hook leader #16 broke at the hook knot. Good. I didn’t want to waste any further time for my guests. My main leader was #20. I was glad I chose #16 for my hook leader. The captain and I concluded it was not a GT. GT wouldn’t have run for that long time. It must have been some 100kg class shark. 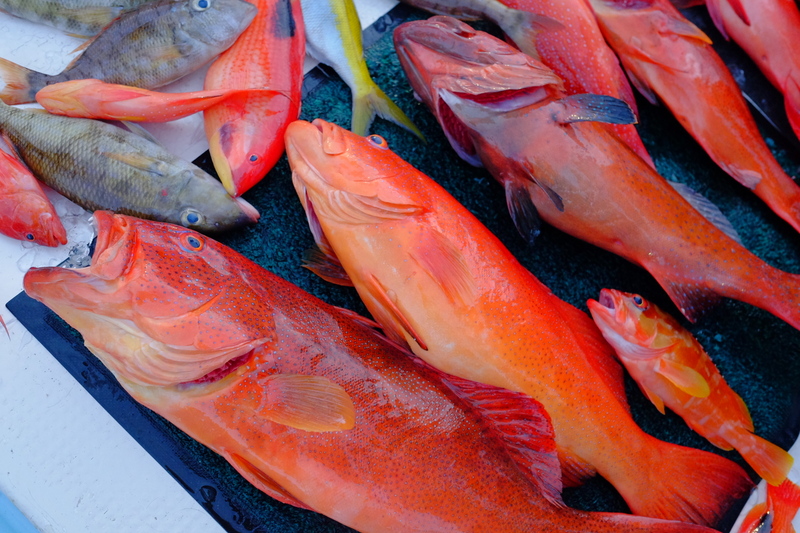 The 3rd day was a Coral Trout festival. They decided to go out into the open waters, in spite of high winds and swells, for bigger targets. So we went to Sugama, a famous big game fishing ground. It’s a 40m deep plateau of the size of a football field, rising from hundreds meters of deep bottom. Their hardwork was well paid off. But… I must say that we could have done twice better if some of them had better knots. I like the spirit. I like it a lot better than “a game”. It’s not a game. The fish is fighting for life. I think we should prepare our tackle like our life depends on it. That’s the love and respect for fishing. They packed their catch to bring it back home to Hong Kong. I like this spirit too. They will enjoy the fish till the end. See you guys next year! Great job! it seems that it was an amazing trip. I wish to join in the future.